Research from Modern Retail Editorial Board member Lightspeed HQ reveals that 6 minutes and 46 seconds is the exact moment Brits will quit a queue, proving there is a limit to our willingness to wait in line. Lightspeed uncovers the findings as part of its 2018 Consumer Trends Survey which crowned East Midlands as the most patient shoppers, waiting up to 7 minutes and 12 seconds in queue, and the Welsh as the least patient lasting only 6 minutes and 6 seconds before turning away. 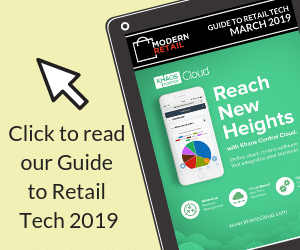 Two thirds of shoppers (69%) have decided not to buy an item because of the size of the queue in-store, highlighting the importance of ecommerce for retailers of all sizes. When it comes to online shopping, retailers should keep returns policies top of mind with 9 in 10 shoppers (92%) saying it’s important and affects their purchasing decision. While two thirds (68%) said they buy more when an online store has a good returns policy. Lightspeed Founder and CEO Dax Dasilva explains: “We are living in an on-demand economy which means shopper attention spans are becoming shorter. As independent retailers face tough competition from retail giants, they need to consider their customer’s needs more than ever. Our research shows a queue can seriously impact in-store sales so SMEs need to employ ways to reduce store queue times and better engage customers – this could include in-store iPad tills and the option to shop online. Read more insights from Dax here. Maximum queue time is 6.77 minutes for British shoppers. 69% of shoppers have not bought an item because of a queue. 9 in 10 (92%) said a store’s return policy is important when buying online. Two thirds (68%) will buy more when an online store has a good returns policy. East Midlands are the most patient shoppers and will queue for 7.2 minutes. Wales are the least patient shoppers lasting only 6.1 minutes in a queue before turning away. Shoppers aged 55+ are the most patient waiting up to 7 minutes, while 25-34 year-olds are the least patient, waiting only 6.39 minutes. Dax Dasilva is the founder and CEO of Lightspeed and a member of Modern Retail's Editorial Board. Founded in 2005, Lightspeed develops a cloud-based EPOS platform used by over 50,000 independent retailers, restaurants and eCommerce merchants worldwide to run better businesses and process over £12 billion in transactions annually. Visit https://lightspeedhq.co.uk for more info.